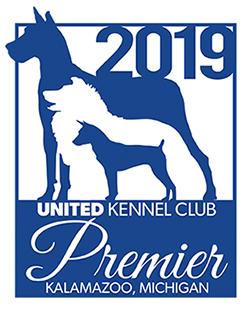 The goals and purposes of this breed standard include: to furnish guidelines for breeders who wish to maintain the quality of their breed and to improve it; to advance this breed to a state of similarity throughout the world; and to act as a guide for judges. Breeders and judges have the responsibility to avoid any conditions or exaggerations that are detrimental to the health, welfare. essence and soundness of this breed, and must take the responsibility to see that these are not perpetuated. Breed history states that sometime after the turn of the 20th century, a small dog was found wandering near a Methodist church in Spartanburg, South Carolina. One of the people attending the services there, a Mr. Alexander L. White, took the dog home as a pet. The dog apparently displayed some hunting aptitude so Mr. White sent the dog to be trained by his hunting partner, Mr. L. Whitaker Boykin of the Boykin community just outside of Camden, South Carolina. With this training, the little stray developed into a superb turkey dog and waterfowl retriever. 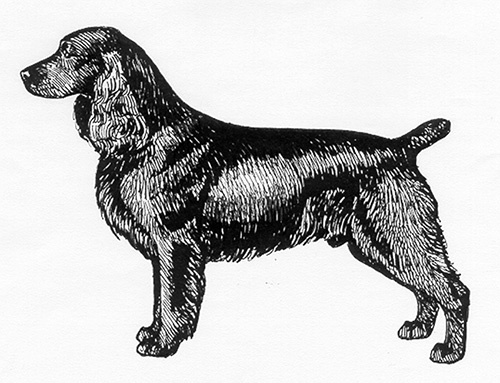 This dog, said to be a male, was the forerunner of all Boykin Spaniels in existence today. Early ancestors of the breed are thought to be the Chesapeake Bay Retriever, Springer Spaniel, Cocker Spaniel and the American Water Spaniel. The Boykin Spaniel was recognized by the United Kennel Club in 1985. The Boykin Spaniel is a medium size, sturdy, typical spaniel. This sporting dog is first and foremost a working dog with proven retrieving and flushing instincts and hunting ability. The breed is characterized by boundless enthusiasm and endurance, and moderate speed and agility, possessing an intelligence and desire to please that makes him easy to train. His amicable disposition makes him an exceptional pet and companion. Love and personal attention improve his desire to hunt. He is a strong swimmer, taking to water easily, and therefore is valuable for water retrieving as well as flushing and retrieving in the field. The head is basically spaniel in shape. Viewed from above, the width of the muzzle is half the width of the skull. Viewed from the side, the nasal bone is straight, with a positive break at the junction of the muzzle and the skull, and the toplines of the skull and muzzle are parallel. Measuring from the tip of the nose to the base of the skull, the length is about the same length as that of the neck. The forehead is covered with smooth, short hair. Fairly broad, flat on top and slightly rounded at the sides and back. The jaws are strong enough to allow the dog to efficiently carry game, as well as straight and long for free development of good scenting ability. The upper lips cover the lower jaw, but are not pendulous or exaggerated. Broad, with well-opened nostrils. Liver in color. A full complement of strong, white teeth meet in a scissors bite, the lower incisors touching behind the upper incisors. Eyes are set well apart, oval in shape and are varying shades of yellow or brown, harmonizing with the color of the coat. Expression is alert and intelligent. Ears are set slightly above the level of the eyes, and have rounded tips. They lie close to the head and the leather reaches to the end of the nose. The muscular neck is moderately long and slightly arched at the crest. It blends gradually into sloping shoulders. Faults: Abruptly angled neck. Excessively throaty. The shoulder blades are long and sloping, forming an angle with the upper arm that sets the front legs well back under the body. When viewed from the front, the medium length legs are straight. Bone is strong but not coarse. The Boykin Spaniel is sturdily constructed, but not too compact. The height, measured at the shoulder, should be less than the length of the body, measured from the point of the shoulder to the buttocks. The chest is well-developed. The back is strong, straight and level. Ribs are well sprung, oval in shape, and loin is short, muscular and slightly arched. Croup slopes slightly to the set on of the tail. Muscular, and with angulation that balances with the forequarter. When viewed from behind, they are strong and straight. Hocks are well let down. The feet are slightly oval, firm and well padded, harmonizing with body size. They turn neither in nor out. The tail is customarily docked to result in a 2½-to-3-inch tail at maturity. Suggested docking procedure is to leave one-third of the tail when docking at between three to seven days of age. Tail carriage is typically spaniel, horizontal or slightly above, but never vertical or curled over the back. The desired coat is flat to moderately curly, and of medium length, but a short, straight coat is acceptable. Light feathering on the legs is acceptable. Fault: Rough, curly, harsh coat. Solid, rich liver or dark chocolate. A small white spot on the chest is permissible. Males - 15½ to 18 inches; Females - 14 to 16½ inches. Males - 30 to 40 pounds; Females - 25 to 35 pounds. Effortless, active and merry, with balanced front reach and rear drive. As speed increases, legs tend to converge toward a center line of travel.